When you learn that a loved one has been arrested your mind may be soon filled with a lot of questions about what happened and what's happening next. One question you have will likely need to be answered more quickly than the rest, that being, "How can I get them out of jail fast?" 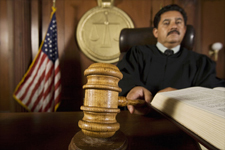 The simple answer to this seemingly complicated question is to use a bail bond. Under federal law most types of charges allow for the suspect to be released on bail. While the law states that bail costs should not be excessive, this isn't always the case for the average person, as it can reach well into the tens or hundreds of thousands of dollars depending on the crime. That's a lot of cash, but thankfully there are ways to avoid having to put up these amazing amounts of money and still get your loved one released as they await their court date. Bail bonds are issued by certified agencies for a small fee, generally a percentage of the full bail amount, greatly reducing the amount you owe up front. When someone is arrested they are presumed innocent until proven guilty, meaning that they have the right to be free. Unfortunately if there is reason to believe they are guilty they will remain in jail until their court date(s) to ensure they don't flee. Bail is designed so that a person must put up collateral or cash which they will lose if the defendant does not show up for court. Being released on bail allows the person to continue living their life as normal as they can and it gives them the opportunity to seek council and prepare their case. What happens when released on a bail bond? For many folks the easiest way to attain freedom for their friend or relative is to use a bail bond, which as mentioned means paying a bail bond agent a small fee to complete the paperwork and processing. The fee will vary based on the full bail amount and perhaps some other factors, on a case by case basis. In some cases a defendant will have to check in with the bail bond agent on a weekly basis to ensure they have not skipped bail, as doing so puts the bail agent at risk of having to pay the full amount. Using a bail bond is a relatively simple process, but if you have never done it before you will likely have several questions. To learn more about bail bonds or to post bail in San Rafael or the surrounding areas get in touch with the team at 5 Star Bail Bonds. We offer 24/7 bail bond services, ensuring your loved one is released fast. Call us at (415) 479-4800 to for a fast San Rafael bail bond today!